You won’t believe how much the health and wellness industry is worth. How much will the health and wellness industry be worth? That’s the projected value of the health and wellness industry in 2017. Can I Make a Living with My Health Blog? The health and wellness industry is booming, making it a great time to start a health and wellness blog. The past few years have found solid growth in this industry. The Euromonitor International global head of Health and Wellness Research has projected that health and wellness sales will hit a record high of $1 trillion dollars by the year 2017. 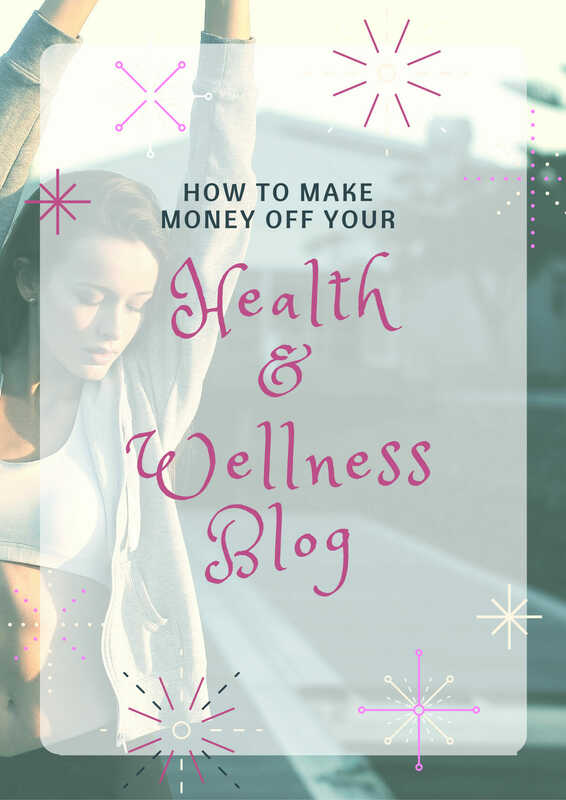 Free Bonus:Want to know how much health and wellness bloggers actually make? 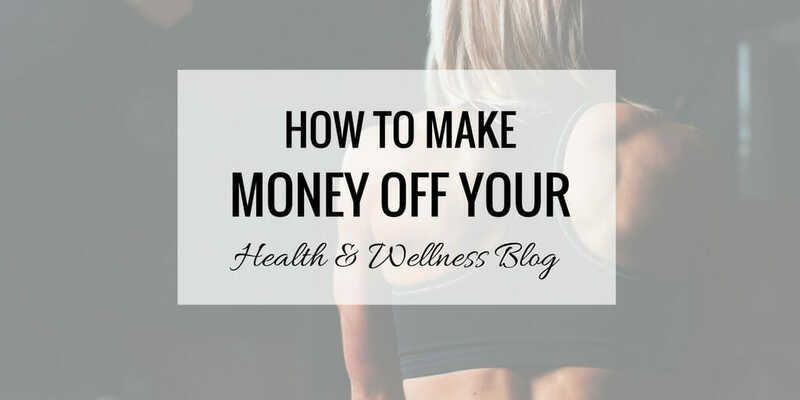 I made a list of 7 prominent health and wellness bloggers along with how much money they actually make from their blogs. Click here to download the PDF. It is easy for a blog to capitalize off this growing market through eCommerce. The first step is to create a blog. You should consider whether there is a specific area within the health and wellness industry on which you want to concentrate or whether you want a more general blog. Then, you just have to write quality content that engages your readership and add an eCommerce store and link applicable products to each blog post to start making money. You can get as specific as you want. The more specific, the less competition. I will caution that too specific is also a bad thing. For example, “golfing” is a very competitive topic, but “extreme desert golfing” isn’t. That doesn’t make “extreme desert golfing” a good topic, because no one is searching for it. Have you ever seen a dodgy looking vehicle with a sign on the side of it advertising a service? I’ve seen them numerous times. I’m not a snob, but I just can’t bring myself to buy dental insurance from a phone number on the back of a beaten down 1988 Honda Accord. It’ not exactly a great first impression. Don’t be that person! The first step to making money with your health and wellness blog is to have a beautiful, functional website. Platform is a fancy word that means what company’s base you are using to get online. Kind of like what brand of car you are using to get on the road. I use WordPress. WordPress powers over 20% of the internet and they have an amazing community, themes, plugins and support. If you are uncomfortable with installing WordPress on your own web hosting, then you can use a service like Weebly (affiliate) who makes it dead easy to get a great looking website online today. Your website is the storefront to your blog (business). You want a secure, speedy, good looking theme that your customers can browse on their phones without issue. That’s why I trust StudioPress (affiliate) with my business. They make beautiful, affordable, secure and fast WordPress themes. They’re always up-to-date. I used to use free themes, until I realized how important the theme is to the success of your website in search engines. It might be tempting to use completely free themes, but unless you’re comfortable looking at code, you truly don’t know what you’re getting. If you choose WordPress as your platform, then StudioPress is the way you need to go! The old days of 300-500 word articles being the only requirement are gone. You need quality. Readers want quality content, search engines want quality content, so what should you produce? Whether it be text, images, or video, people want good content? Do you know why this article starts out with a large, attractive image that took me a long time to make? Because people want to pin this article to Pinterest. Getting advertisers through a service like Google Adsense is the easiest way to begin making money from your health and wellness blog. This is also the most well-known and the least profitable. I highly suggest giving it a try, but just know that you can make more money using other methods of monetization. One note: Make sure you understand the terms of service from the company you choose. Some companies may not allow you to use other advertising companies at the same time as them. To be safe, it’s best to stick with just one company. Some blogs cover the entire gambit of health and wellness, so it would make sense to do the same with your store. However, if you only focus on one aspect, like nutrition or meditation, then your store should reflect that. You want something that will not turn your readership away from your site. Instead, you will provide them with an easy to use service right there on your blog. Relevancy and product placement are huge! If someone is on your site reading your incredible article about protein supplements, doesn’t it make sense to try selling to them too? It is so simple to do this, and whether you’re linking to products in your own store, or referring them to Amazon, you have a great opportunity to help your reader and earn money. When you make money referring customers to other businesses, this is called “affiliate” marketing. You just need to find products you believe in and verify if the seller has an affiliate program. There are numerous ways to make money with your website. Whether it be the eCommerce store suggestion, or by advertising. The costs of running your website can certainly be covered, and over time you certainly can make enough money to cover your costs of living. It won’t be easy, but it is completely doable. I hope this guide has helped you, and if it has, please consider sharing it. Great Post. This is perfect for helping bloggers with monetizing ideas. I like word press as a blog platfom and I will look into how user friendly it will be to set up the ecommerce store. Thanks. Very true! Great ways to make money online. I am looking at starting my own ecommerce site soon.